In my quest for more energy and better health, I made a few changes to my diet a few months ago and probably one of the most effective has been the addition of this Homemade Green Juice Recipe to my morning routine. I don’t get this exact recipe together everyday (in fact, some days it’s just an apple, ginger, baby greens and lemon–but that isn’t nearly as exciting as the whole recipe.) Ginger is a must for me though, as it has so many wonderful qualities and seems to do wonderful for my stomach. Once you get juicing/blending, you will find that it’s pretty easy to throw your drinks together and anticipate how they will taste. I will warn you, this is a hit and miss process that doesn’t always go well. 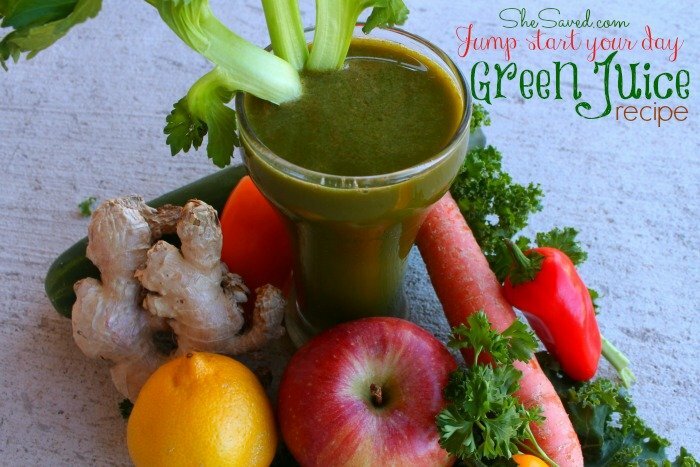 This recipe for Homemade Green Juice Recipe however, never lets me down, so it’s a good one to start with. Just blend all of this together to create a delicious and oh-so-good for you and delicious green juice drink! 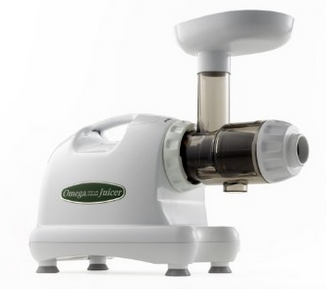 If you are looking for juicer options, this Omega J8004 Nutrition Center Commercial Masticating Juicer is one of my favorites, and it gets amazing reviews. Juicing can be work (prep, cleanup, etc) but the better that your juicer is, the more nutrients that you will be able to draw from your ingredients and the less waste you will have. So–if juicing is something that you want to take seriously, I definitely recommend investing in a good juicer. I actually prefer blending my drinks. If you are looking for more fiber in your diet, this same list of ingredients can also be blended! 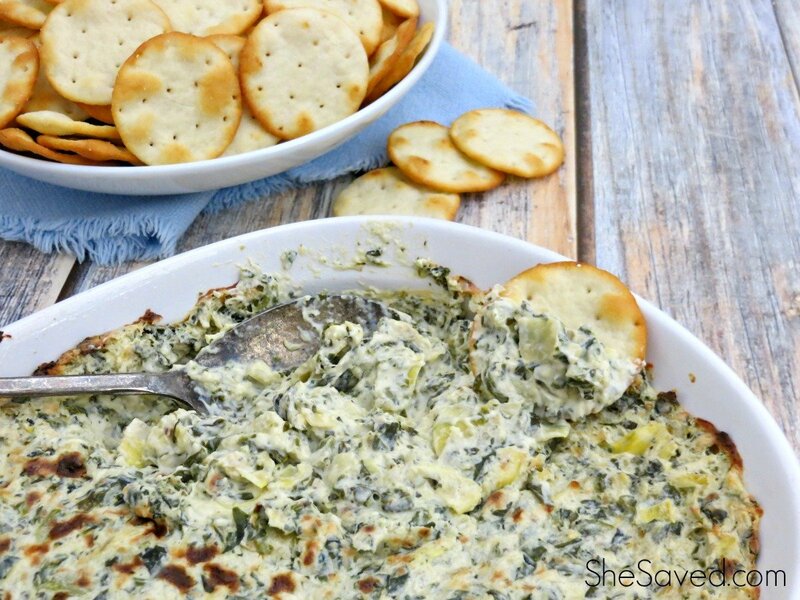 You will want to use a high powered blender for that to make sure to break up the greens. 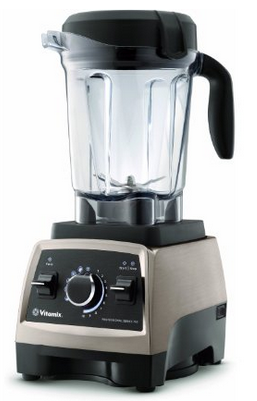 My dream machine would be this Vitamix Professional Series 750 Blender (it’s not cheap, but it’s a beast!) and it also gets outstanding reviews. Looking for more ways to fit GREENS into your diet? Check out my recipe for Homemade Kale Chips! 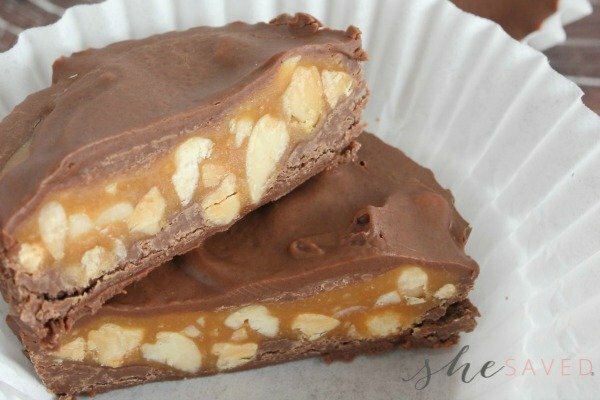 They are SO yummy and insanely easy to make! !